Lagos APC rejects extension of Odigie-Oyegun’s tenure as national chairman of the party – Royal Times of Nigeria. 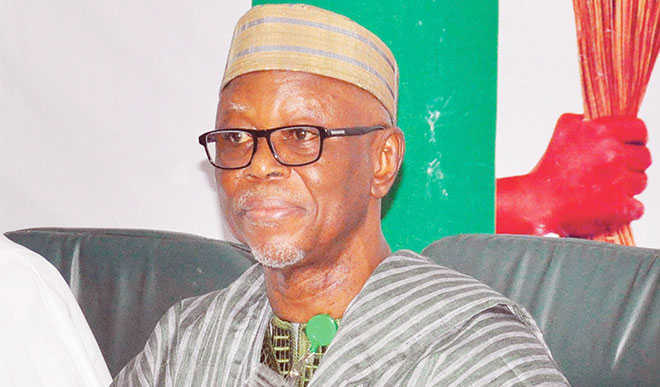 The Lagos state chapter of the All Progressives Congress (APC) has rejected the extention of the tenure of the National chairman of the party, John Odigie-Oyegun. Last week, the National Executive Committee at a meeting attended by President Buhari and Vice President Yemi Osinbajo alongside APC governors, announced the extention of the tenure of the National Working Committee members of the party by 1 year. The Lagos state chapter of the party at a consultative meeting held in Marina, Lagos state on Tuesday, said the eleongation is unconstitutional. A statement from the party reads, “Section 223 of the 1999 constitution as amended provides for periodical election on a democratic basis for principal officers and members of the executive committee of political parties. The leader of the party in Lagos central senatorial district, Tajudeen Olusi, speaking to newsmen said, We have taken reports of the state APC chairman in respect of the NEC meeting held in Abuja. We have also had the privilege of receiving great reports from our leader from the reconciliation committee. We have considered the issue of extension of tenure and we are of the firm belief that the decision is a breach of the constitution of our party and of the country. We are against the elongation of tenure. We shall continue to make our decision known to the party and to the president. In extending the tenure, the APC National Executive Committee had relied on Article 13.3 (ii) of its constitution which states that The NEC can discharge the functions of the convention in a period of emergency. Article 13.3 (ii) of APC Constitution specifically states that the NEC of the party is empowered to; “Discharge all functions of the National Conventions as constituted in between Conventions”.